More and more Americans are becoming more conscious of their health. The proper use of herbs and natural foods are not as common in America, however, as they are in most of Europe and the Far East. Fennel is one example of an herb that is widely used throughout Italy and Greece for its healthy properties. 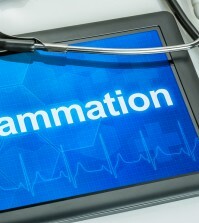 Besides being tasty in food dishes, it also offers us some terrific medicinal benefits. 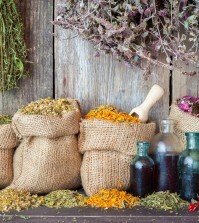 This herb comes to us from the Mediterranean and has now spread to almost every part of the world. It has been used for centuries as both a tasty culinary additive but also for its medicinal purposes. Take a look at the top 12 benefits we can get from using more fennel in our diets. Fennel has long been used for helping those with problems involving the respiratory system such as bronchitis, congestion, and ongoing coughs. Fennel contains two compounds called anetol and cineole, both of which are natural expectorants. Both powdered fennel and the seeds from this plant can help to loosen up toxins in the nasal passages, as well as break up phlegm so the body can recover more quickly from respiratory issues. 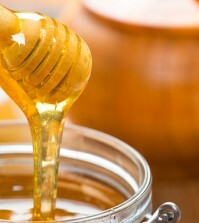 Find out more how to naturally quiet a cough. 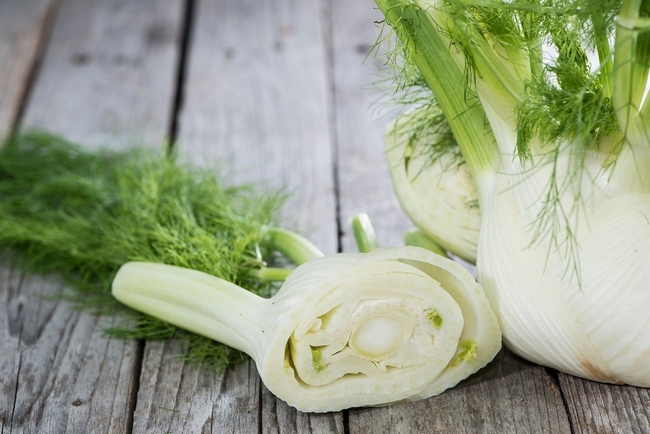 Fennel is also a great source of iron and an important amino acid called histidine, which can help those with anemia. Iron is the main component of hemoglobin and histidine encourages the production of hemoglobin as well as other components that make up our body’s blood. Just one cup of fennel bulb will have as much as 20 percent of your daily requirement of vitamin C, which makes this a good source of this beneficial vitamin. Vitamin C is important for our immune system and it helps to repair our skin, and make collagen. Vitamin C is also a great antioxidant that protects the blood vessels from free radicals. It’s quite common in India to chew fennel seeds after a meal in order to facilitate healthy digestion of foods as well as freshen the breath. The essential oils in fennel stimulate the secretion of gastric juices while reducing inflammation. Fennel is also known for eliminating constipation. Fennel is also a natural antacid and is used in many antacid preparations. Ok, although no one likes to talk about it, everyone has gas at one time or another. Fennel is excellent at eliminating gas. The aspartic acid in fennel can be used by everyone, from infants to elderly persons to expel excess gas. This is a common ingredient in many medicines that are used to reduce symptoms of dyspepsia and flatulence in infants and small children. This herb is great at curing diarrhea that is caused from a bacterial infection. The essential oil in fennel has both antibacterial and disinfectant properties. Fennel has been used by indigenous people as a cure for diarrhea for centuries.